Tumi Je Amar Lyrics from Harano Sur Bengali Movie: This Cover version Song is sung by Madhubanti Mukherjee And Mahtim Shakib. 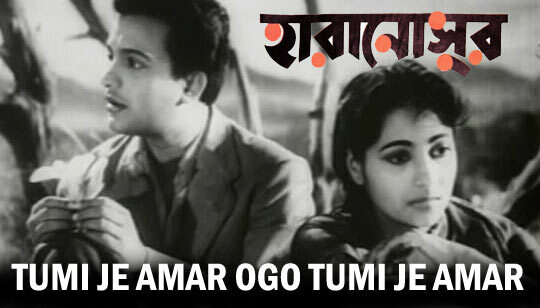 Originaly This song is sung by Geeta Dutt Music composed by Hemanta Mukhopadhyay And Tumi Je Amar Ogo Tumi Je Amar Song Lyrics written by Gouri Prasanna Majumdar. Starring: Uttam Kumar And Suchitra Sen.